Customer experience is not simply about food or customer service. While your food offer is a critical part of the customer experience mix – the quality, the taste, the consistency, the creativity – food alone is not enough: a total customer experience is the magic you add to your great food offer and is what gets you great reviews and repeat business. The small touches do count and yet great customer experience is still more than tomato sauce, serviettes, a pleasant greeting, a free coffee, banchan, sambals, apple sauce or raita. It infuses every aspect of your offer – the food, the smile, the service, the ambiance, the delivery, your values, how you fulfill what you stand for. It gives customers what they appreciate as it understands customer needs, knows their names. Customer experience is defined as how customers perceive your business through every point of contact. How you make them feel. Every interaction adds to the experience, good or bad. And increasingly, more interactions rely on digital technology. A strong offer in one area may ‘mask’ or forgive a weaker area but perhaps not for long. For example, delicious food may be worth the wait, but perhaps not the wait and indifferent ambience or the food served cold. To deliver a customer experience in line with your business culture, values and offers you need to know what these are – what do you stand for, what is your competitive edge, what is your point of difference, what do you mean to your customer base? This seems obvious but many restaurant businesses stop at the surface level of defining the cuisine type and the location appeal (for example, a Japanese sushi bar in Surry Hills serving the business breakfast & lunch markets; fast seafood & chips to resident locals lunch/early dinner in beachside CityBeach/ Scarborough, Perth) without considering the deeper values and culture within that context. What is your positioning in the minds of customers? Who is your competition, direct and indirect? What would make customers choose you over an alternative? What would make them recommend you to others? What would make them give you a good or bad review online? Match your values with the food purchase, preparation, service, staff and systems needed to deliver a seamless aligned customer experience. Really understand their needs, what makes them tick, know them at a deeper level to simply a geographic/time-of-day/demographic description (eg. families wanting a children friendly easy early evening meal on weekdays). Why would they choose you over others options, what makes them come back for more? If a direct competitor had the same product, ambiance, service, prices etc …what else do we know about the customer that could help us deliver a superior experience? 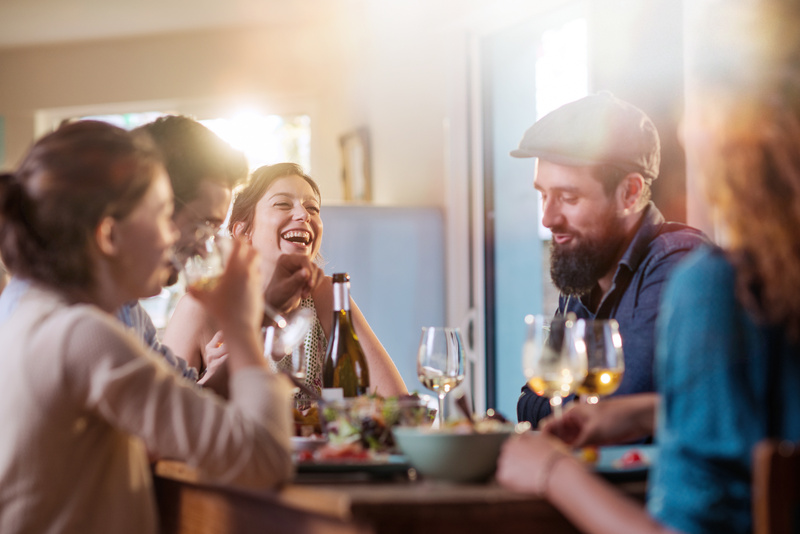 Connection and community – know their names and their order preferences; offer loyalty incentives in a way that suits the customer. There are several fishmongers in my local area, all with the same freshness, the same range and more or less the same prices ….but I shop from Fred because he always greets me like a friend and we have a short fun chat. Make it easy, fast, fresh convenience. People want hyper convenience – they are on the go and busy, so help them ‘save’ time with pre-orders (pick up or delivery). Be discoverable and easily usable and engaging – use technology and social media actively. Customers want to find out about you online and look at your menu and customise where possible. They read reviews. They want easy payment methods and bill splitting. Develop analytics and insights that help you know the micro trends of your own customer database – favourites, preferences, loyalty programs that work. Nobody cares more about your product and your customer than you, so don’t outsource any part of your value chain. Use trusted partners to help grow your business but maintain brand and experience control. Restaurants typically do this well in areas of food produce purchase and preparation, but not as well in areas such as human resource management, marketing, delivery and technology. Look for partners that have the right expertise to move your brand, business AND customer experience forward. This dilemma is particularly apparent in the fast moving online and technology worlds. Use tech partners to help you stay on top of the latest technology without sacrificing your brand or your customer database. Marketing online giants like Menulog and Uber Eats are great for exposure and discovery of your restaurant online but to use them long-term can cost you the customer experience (eg. indifferent, late cold deliveries), your profit margin (high commissions) and your customer database (eg. lack of building one in your own name). Build your own database to loyal customers using a branded app tech partner. Social media platforms seem easy to manage but do you have an effective strategy? It is not simply about ‘being there and posting images’, but being able to engage your customers and get them participating. A social media expert could help you set up an effective strategy which either they or you could maintain. Importantly you stay in control of brand messages and behaviour. The same goes for online reviews – most restaurants are examined online and reviews are read. How you handle bad reviews reflects on your brand. Do you have a plan in place? Do you know what will work to respect the reviewer and leave a good impression of great customer experiences? Happy experiences, happy customers, happy referrals, happy bottom line.